From the President - What use is the BOG, anyway? Can parents give cigarettes to their teenage kids? Are parents liable if they host a party and one of the young guests gets drunk and wreaks some kind of havoc? Is it illegal for a kid to belong to a street gang? Do you need a license to ride a bicycle on city streets? 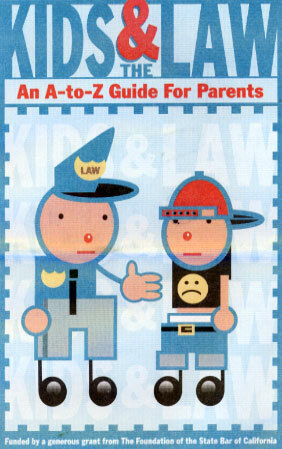 The answers to these and many other questions may be found in the revised version of the State Bar's popular Kids and the Law: An A-to-Z Guide for Parents, which can be found as a second section of this issue of the California Bar Journal. "Kids and the Law is an invaluable tool as well as being great PR for the State Bar," says Maria Villa of Los Angeles, chair of the bar's board of governors member relations and communications committee. "The guide offers very good nuts-and-bolts legal information for parents, children and teachers alike," she added, noting that her sister is a teacher in California. Published in conjunction with Law Day activities around the state this month, the 2001 version of Kids and the Law is supported by a $34,000 grant from the Foundation of the State Bar. The guide has been updated by State Bar attorneys to reflect changes in laws which affect young people and how parents deal with many problems they encounter in raising children. "The foundation is particularly pleased to provide a grant for the update and republication of Kids and the Law," said foundation President Pauline Gee, noting that the grant was the largest approved by the foundation in 2000. "I think its publication in the California Bar Journal and the additional reprints to be distributed to schools via local bar associations will have an important outreach effect, providing information on multitudes of laws that affect the rights of children, parents and teachers," said Gee, a deputy attorney general in Sacramento. E-mail: Does it stress you out or simplify your practice? In Silicon Valley, an intellectual property attorney negotiates with Japanese multinationals into the night - via e-mail to Japan, New York and California - in a venture deal set to close the next day. At a counsel table during a jury trial, an attorney discreetly pulls out her tiny, wireless "personal digital assistant" and contacts her office - via e-mail - to find out when a witness will arrive. In a small town near Yosemite National Park, an attorney receives time-critical documents from co-counsel in Los Angeles - via e-mail - and promptly files them at the nearby courthouse. The State Bar has taken steps to ensure that its mandatory fees are reasonable and that no member dues are used to support voluntary programs, according to a California State Auditor's report released late last month. The bar also has made improvements to its disciplinary process, especially in allowing its staff to "identify, investigate and prosecute promptly those cases that pose the most significant threat of harm to the public," State Auditor Elaine M.
Mindful of the consequences of past forays into controversial social policy, the State Bar Board of Governors shut down an attempt by the Conference of Delegates to urge the governor to declare a moratorium on the death penalty. "I think this is way off-base," said Pat Dixon, a Los Angeles deputy district attorney who heads the major crimes unit. "It is this kind of very controversial, in-your-face resolution that in the past has gotten us in trouble." At its regular meeting last month, the board tabled a Conference of Delegates request to transmit to Gov. Davis a letter asking him to "take action to ensure fairness and due process in implementation of the death penalty" and seeking a moratorium on the death penalty in California. Ironically, a board committee already had recommended that the bar take no position on the resolution, which was adopted by the conference at its annual meeting last summer. But the very notion that the conference, whose often liberal political positions were cited by Gov. Pete Wilson when he vetoed the bar's dues bill in 1997, would present the bar with a political hot potato rankled several board members. "This is not something we should be doing," said Anthony Capozzi of Fresno. "It's out of line," agreed public member Joe Hicks, head of the Los Angeles Human Rights Commission.